Do you like Rembrandt? Have you seen his painting The Night Watch recreated by a flash mob yet? It’s worth it and it is something that can definitely get kids interested in his work. Try it. The Sun has come to Seattle and with that, it is much easier to feel the spring fever. Everything is starting to bloom and find ourselves wanting to draw all of that. This weekend we decided to paint a colorful garden – and were looking for an idea that would be fun for 5 year-olds and easy enough a 2 year olds could do it… and this worked great. First, the kids used liquid watercolors and sea sponges to mix beautiful and cheerful backgrounds. 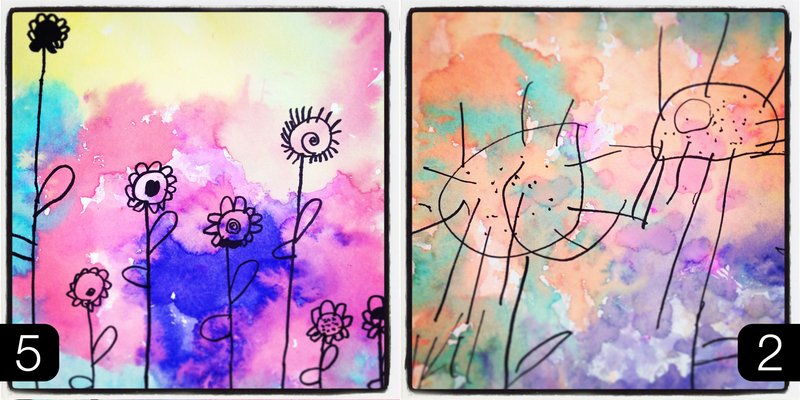 Then, we let it dry and used sharpies to draw a garden over it. Simple. You can see more of our recent projects on our Instagram page. If you are like me and love Impressionists, then you probably thought (at one point of your life) how wonderful and peaceful it would be to visit Monet’s garden. It must have been perfect… he was working on it for over 20 years and based on what I’ve seen on photos, it looked just like his gorgeous paintings. Now, it may be tough visiting the original Giverny garden in France but that does not mean your kids cannot visit the garden by themselves… like my son. Just print out these pictures. 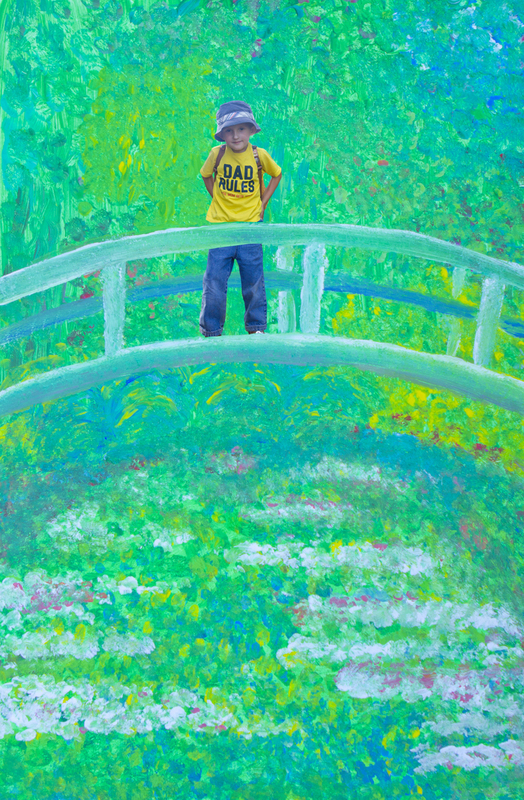 Cut out a picture of your child, cut out the bridge (or part of it) and glue it all together… or even better, have your child draw the garden herself, glue the picture on the bridge and then paint over it. Enjoy. True, there is still 24 days till Mother’s day – and that’s good. It leaves three weeks to look for inspiration for the best gift possible… we’ve put together a Pinterest board with some of our favorites. From watercolor pictures to acrylics, from egg cartons to clay – there is something for every age (and every mom). Take a look around and get creative. I am back and getting busy. In less then two weeks, there will be an art fair at our local preschool where arTree will be hosting one of the activities. Here is some information, if you live close and would like to see a great preschool and/or spend some creativity filled afternoon with your child. 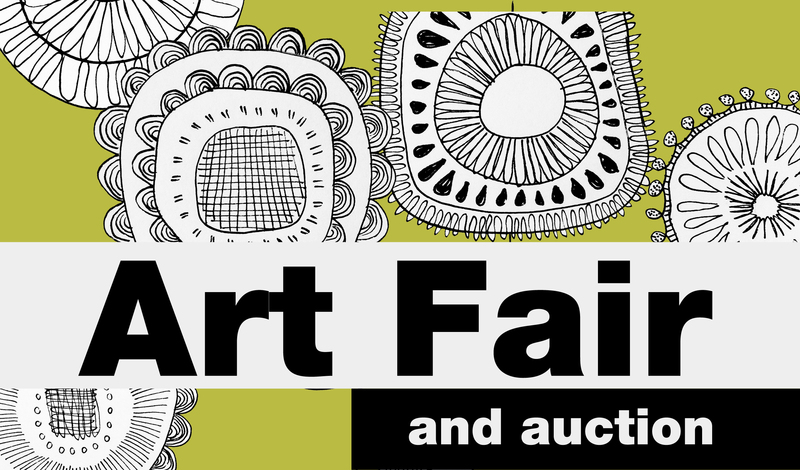 Join us for a silent auction and fun art activities for kids. 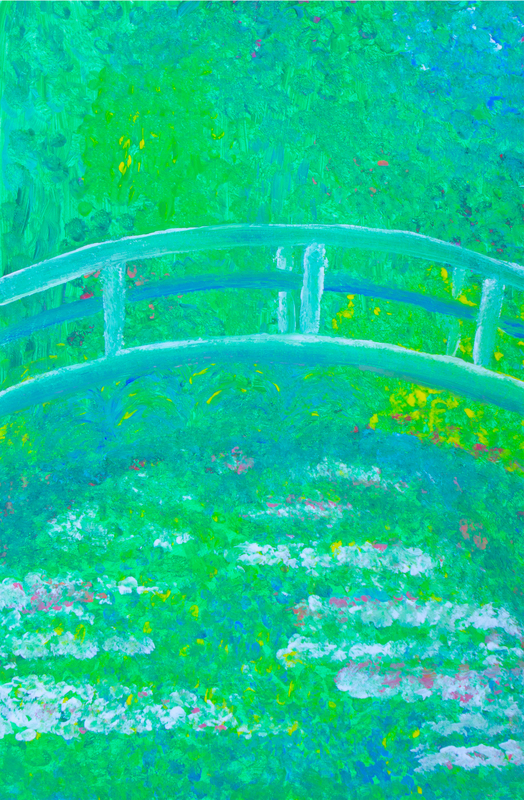 Do you want to paint like Claude Monet? Do you want to get your picture taken in his garden, learn about reflection, see your paper flower magically open by itself and bring a some of the garden home – as a plantable paper? 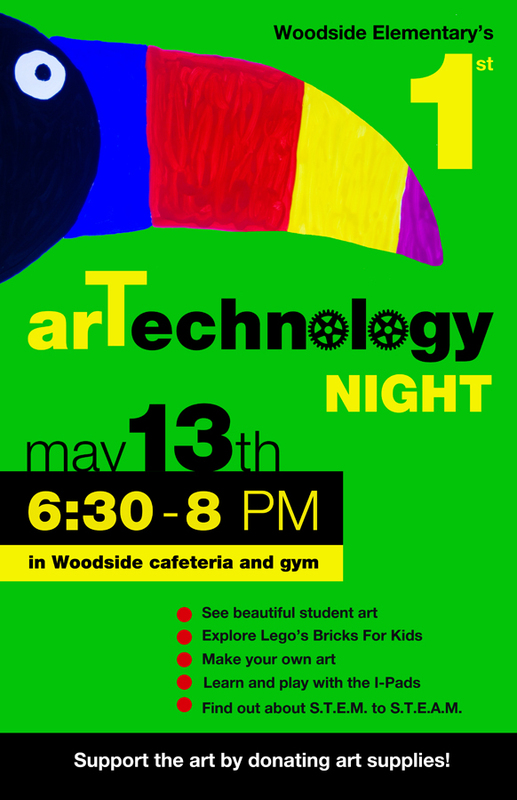 Then join arTree and others for some creative fun. See you there – and if you cannot make it, I’ll share pictures and activities so that you can experience the impressionists from the comfort of your home.